You can select your own timezone at the registration. You can change your own or one of your colleague time zone. In the header click on Users then edit or add a user. 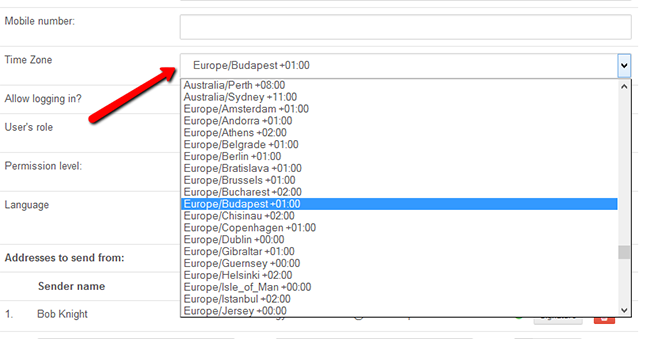 After you set & save time zone you can see for example delivery schedules according to it.